Master mental game coach Dr. Patrick Cohn can help you uncover the beliefs and attitudes that keep you from performing up to your potential. You’ll learn proven mental strategies Dr. Cohn uses to help Tour professional golfers get into the winner’s circle (see bottom of page for testimonials). 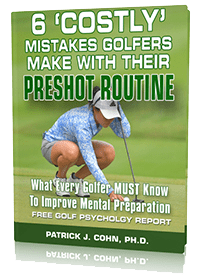 Golf mental game expert, Dr. Cohn, has helped golfers win at all levels including junior golfers, collegiate golfers, mini- tour golfers, Canadian Tour, PGA Tour, and LPGA Tour golfers. Dr. Cohn earned a Ph.D. in Sports Psychology from the University of Virginia. He’s the author of The Golfer’s Mental Edge CD program, Going Low, Peak Performance Golf, The Mental Game of Golf, and The Mental Art of Putting. Whether you’re an AJGA junior golfer, college player, serious amateur or seasoned tour pro, golf mental game coach Dr. Cohn can help you improve golf confidence, focus, and composure on the course and boost your on-course performance. You can get expert mental coaching with us from anywhere. You’ll work one-on-one with Dr. Patrick Cohn himself in Orlando Florida or meet via Skype, phone, FaceTime, or GoTo Meeting. With today’s video technology, we are able to connect with athletes and coaches all over the globe. Think like a champion golfer and develop the golf confidence of a tour pro with one-on-one golf mental training coaching with Dr. Patrick Cohn! Dr. Cohn has helped golfers win at all levels including AJGA junior golfers, collegiate golfers, mini-tour golfers, Canadian Tour, PGA Tour, and LPGA Tour golfers. Whether you’re an AJGA junior golfer, college player, serious amateur or seasoned tour pro, golf psychology coaching can help you improve golf confidence, focus, and composure on the course and give your golf performance a boost. 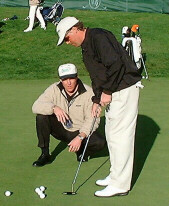 You’ll work one-on-one with master mental game of golf coach Dr. Cohn. You can improve your mental game one-on-one with Dr. Cohn himself in Orlando, Florida or get coaching from anywhere in the world via telephone, Skype, or video conferencing. All golf psychology programs include the Golfer’s Mental Aptitude Assessment (GMAP), a custom Mental Game Plan, weekly coaching sessions, unlimited email correspondence, and The Golfer’s Mental Edge workbook and CD program. We have unique mental coaching programs, customized for you. Please contact us with any questions your have about our programs. 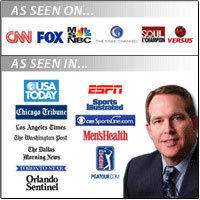 Please contact us today to learn how mental coaching works and to request pricing on golf mental training programs. Complete the web form below to contact us via email, or call us toll-free at 888-742-7225 Monday-Friday from 9 AM-5PM EST.